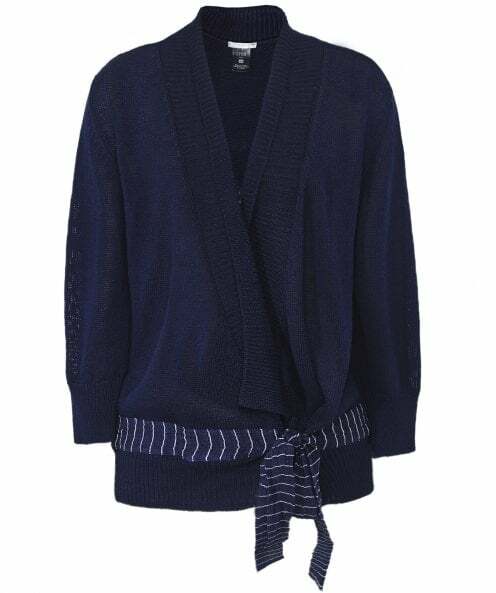 Exude effortless style this season with the Crea Concept knitted tie front cardigan. Beautifully crafted from a premium cotton blend, this knitted cardigan is the perfect lightweight layering piece for the warmer months. Featuring ribbed trims and a pinstripe front tie for a contemporary edge, this chic jumper can easily be layered over anything from day dresses to vest tops.